Galaxy Farms is now accepting new boarders. Choose Galaxy for your boarding needs, lessons and showing, Select leases and half-leases are also available. 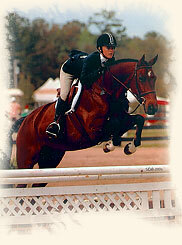 And if you're 6th - 12th grade, Galaxy also has IEA Middle & High School Teams. Call Jana today for more details: 813.679.7419. 5/1/2015: Gift Certificates - always the perfect gift! 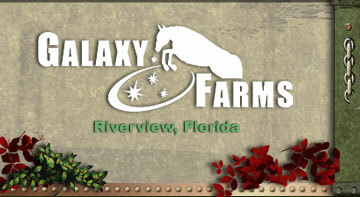 Galaxy gift certificates are a great gift through-out the year. Always the "right size" and always a wonderful gift from parents, grandparents and other family members for the equestrian star in their family -- or for a special person to use towards their riding lessons. Easy to order -- just call us at 813.679.7419, or simply go to the contact page of this website and send us a quick e-mail! no discrimination; boarding costs do not include lesson and showing fees.